As a member of the Monadnock Center, you are part of a vibrant organization that is helping to build a strong future for the Monadnock Region. The Monadnock Center presents a wide range of programs, forums, exhibits, concerts and other events that not only explore the past but also enrich the community today and shape its future. The Monadnock Center is not supported by tax dollars and our members play an essential role in our ability to serve the community. Member benefits include our program guides mailed to your home or office, free admission to the museum, members-only events, and discounts on event tickets and merchandise. For just $25 per year ($40 for families) you can join the Monadnock Center for History and Culture and enjoy all of the benefits of membership. Join or renew online using the buttons at the right. You do not need to have a PayPal account. Stop by the Monadnock Center Wednesday through Saturday 10 a.m. – 4 p.m.
We hope you will consider becoming a member of the Monadnock Circle by signing up to the Sustaining member program. Your membership is billed monthly to your credit or debit card. Sustaining members enjoy all the benefits of membership without the bother of renewal notices. Your monthly sustaining membership provides the Monadnock Center with a steady income stream and reduces administrative costs- more of your gift goes directly to preserving our region’s past and producing great programs. Click here for more information about Sustaining Membership. The Monadnock Center uses PayPal to process online payments because it is the most secure and cost-effective way for us to accept credit/debit card payments. You do not need a PayPal account to join, renew or donate. A PayPal account is required to establish a monthly sustaining membership. The Monadnock Center offers a variety of ways for businesses to support the Center’s work. to learn more click here for information on business memberships. 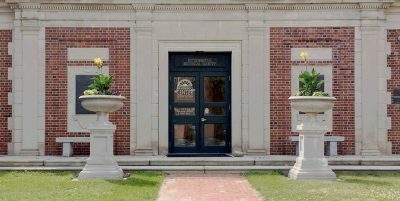 The Monadnock Center for History and Culture is a tradename of the Peterborough Historical Society, a 501(C)3 nonprofit organization. Your contribution is tax deductible to extent allowed by law.